That’s where the magic of micro-actions comes in. When we talk about micro-actions we’re not talking about small goals. We’re talking about tiny, specific, easy tasks. Micro-actions are so unintimidating in fact that you may think they won’t make a bit of difference. Write a business plan from start to finish. 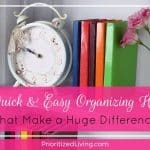 Organize and clean your entire house. Save for your holiday spending. Do sit-ups during your T.V. show’s commercial break. Read a blog post on creating a business plan. Set a one-minute timer while you clear some clutter. Put $10 into a savings account today. Take a look at that first list. Does it stress you out? Give you serious doubts about yourself? How about that second list? Hey, you could do those things. No sweat! What makes micro-actions so effective? Over time, all those little steps you take add up to massive progress toward your big goal. As you start to succeed in small ways, you gain motivation and confidence in believing that you will reach your big goal. In The Power of Habit, Charles Duhigg claims that something as small as making your bed every day will transform your life. Marie Kondo, the New York Times best-selling author of The Life-Changing Magic of Tidying Up, clears out cluttered closets by asking, “Does this bring me joy?” one item at a time. 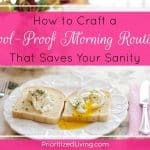 Beloved cleaning guru Marla Cilley, better known as the FlyLady, swears that shining your sink every day will propel you to a tidy, organized home. Get started with your own micro-actions. Think about that goal that’s been haunting you. You know the one. That dream you keep shoving off. The thing that you always tell yourself you’ll start on next week, next month, or next year. 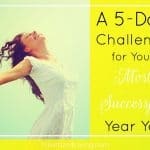 Now come up with five micro-actions related to that goal. Think of completely unintimidating tasks that take as little as 1 minute and, at most, 15 minutes. Write them down. 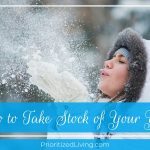 Let’s say you’re sick and tired of that one room or closet in your house that’s a complete mess. When company’s coming over, you just hurl the clutter in there. When you don’t know where something belongs, you heave it into that messy room. You’ve been wanting to clear that space out and get it organized forever. But it’s a huge project! So it’s never happened. Just like that, you’ve cleaned out two entire bags’ worth of stuff from that nightmare room or closet! 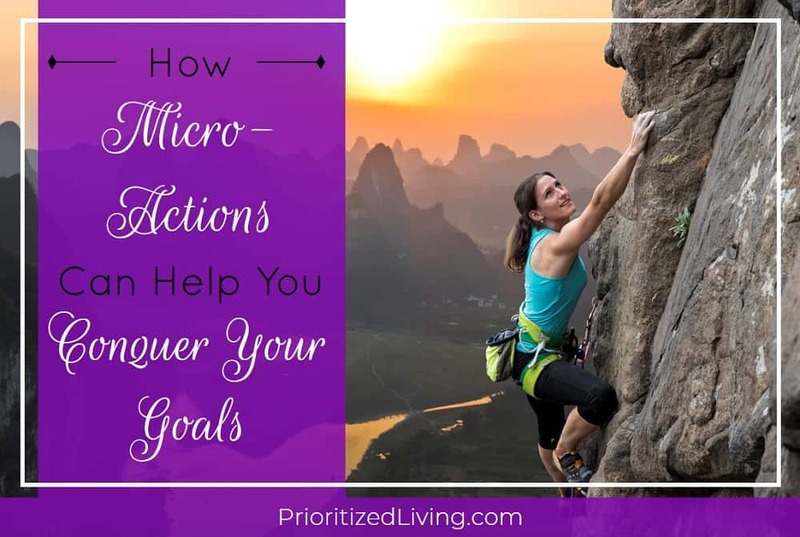 Even if you’ve given up on your new year’s resolutions, get moving again with your own micro-actions! Take a baby step today and another tomorrow. You’ll be astounded by how much you’ve accomplished by the year’s end. What gigantic goal have you been waiting to accomplish? 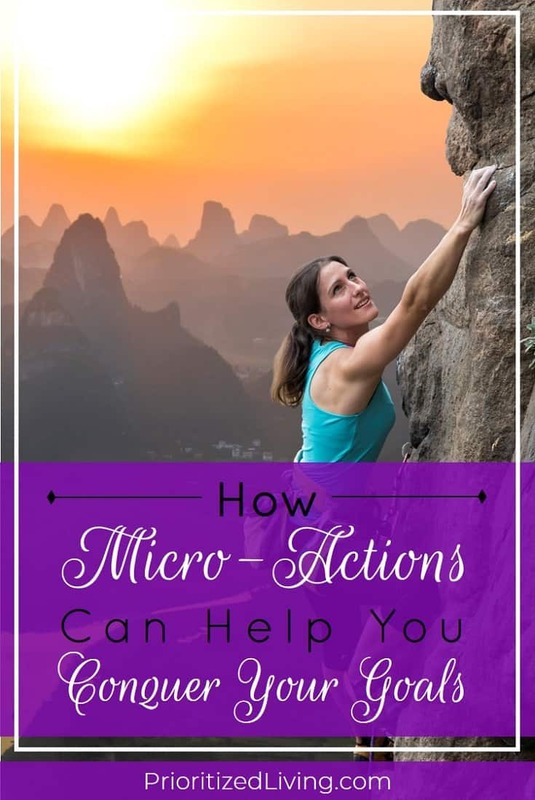 What are 5 micro-actions you could take to inch closer to achieving it?